There are almost as many investment strategies as there are financial websites. These might include everything from you must buy this share as it’s a guaranteed ten bagger through to a fund that looks like it will protect you no matter the economic weather. Of course the strategies discussed will also likely be dependent on whether the person writing the strategy has a vested interest of some description. I’ve laid out my strategy for all to see however it glossed over an exceptionally important element. That element is share dividends and specifically how crucial it is to reinvest them while you are building your portfolio. If you are a UK Investor Monevator touched on this topic back when I was first starting on my Retirement Investing Today journey and more recently DIY Investor has also reinforced their importance but it’s the must have Investing Bible for UK Investors that really reinforces the point with the section entitled “Spend dividends at your peril”. Dividend reinvestment is important because it is likely they make up a significant proportion of the total return that comes from your individual share holdings, High Yield Portfolio (HYP) or Index Tracking Fund to name but three. By reinvesting you both get that extra cash into your portfolio, instead of being tempted to buy something you likely don’t really need, but additionally you also then get those dividends compounding year on year. Let’s look at whether reinvesting dividends is still important in more recent times using my recently built FTSE100, FTSE250, FTSE Small Cap and FTSE All Share data sets. For today’s analysis I am using the period 18 March 2008 (the first date I was able to source all data required) to the recent market close of the 28 March 2013. The annualised return or compound annual growth rate (CAGR) for capital growth only and dividend reinvestment for these four datasets is shown below. This shows that depending on the index the contribution of dividends to total annual index return is anywhere between 30% and 60%. 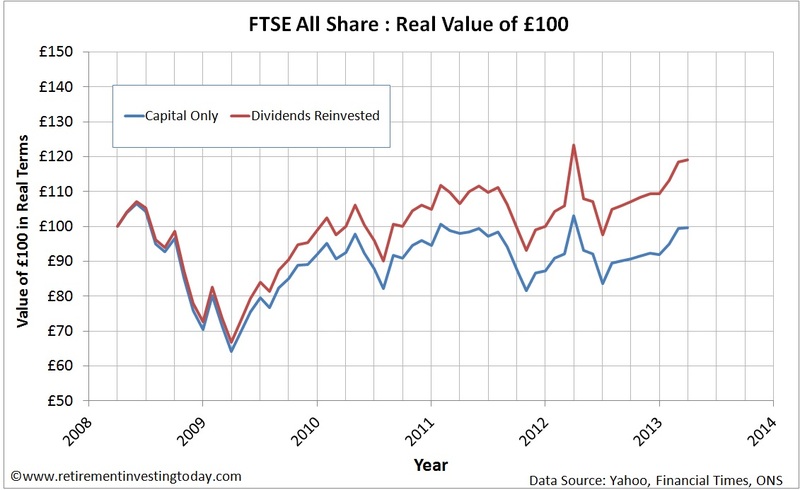 This shows the importance of dividend reinvestment but it doesn’t tell the whole story because is doesn’t take into account one other important consideration. These indices are measured in £’s and we all know that the value of the £ is continually being devalued by inflation. By correcting for this the table then becomes. This then really rams home the importance of dividend reinvesting with between 43% and all of the real annualise return coming from dividends. So what does this mean for the average investor? Let’s run some simulations over the same period. Average Bob and Average Joe both invest £100 in a low cost FTSE100 Index Tracker on the 18 March 2008. The difference is that Bob spends his dividends where Joe reinvests his. Today in Real terms Bob has gone backwards with his fund now only worth £96.57. Joe on the other hand has a fund worth £116.82. This is shown in the chart below. Running the same analysis for the FTSE250 we find Bob with a fund worth £122.44 and Joe with £142.18. 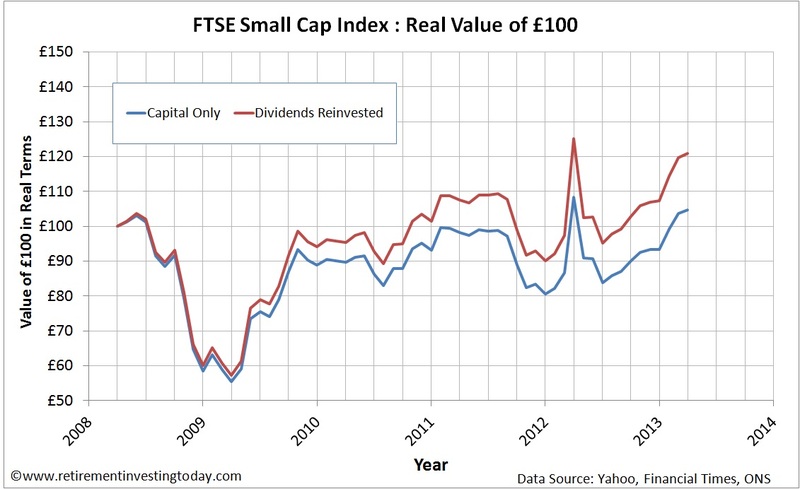 The FTSE Small Cap yields £106.43 and £123.17 respectively. Finally, the FTSE All Share shows Bob again going backwards in Real terms with £99.50 while Joe is well ahead with a fund worth £119.64. 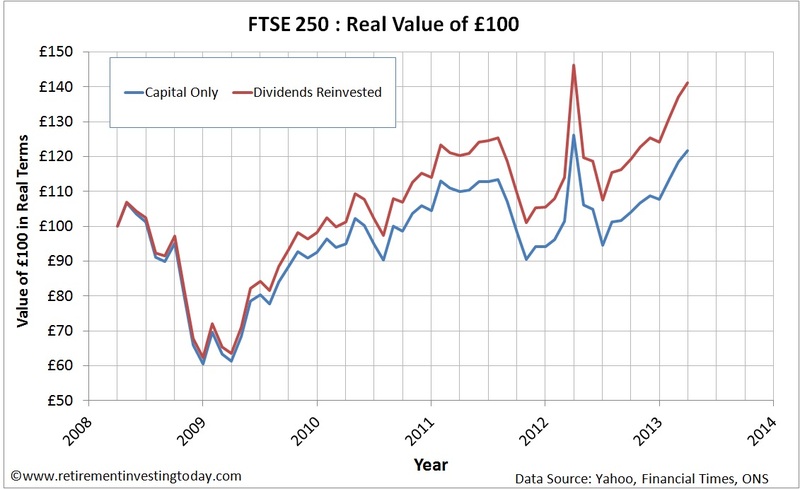 So it seems reinvesting dividends remains crucial if you are to build long term wealth as a UK Investor. 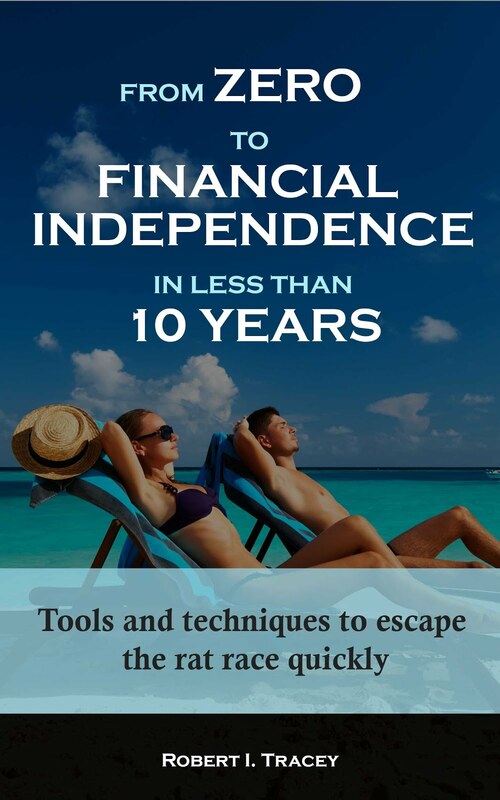 My journey towards Financial Independence has all dividends reinvested. Does yours? Always worth focussing on this aspect (assuming you don't need the income to live off!) - reinvesting dividends is a sure-fire way to turbo-charge portfolio growth. A good point but even then you'd probably want to be reinvesting a portion of those dividends. Can we also assume from this numbers that a safe way to not deplete a portfolio for early retirement is to live off the dividends only? Without touching the principal. In my humble opinion, I would say so. 1. 5 years is a short time when you are considering a retirement period that can span many decades. 2. In 2 out of the 4 indices mentioned above the capital return after inflation was negative. This means if you started spending all your dividends and the market continued to behave the same way then your pot with which to generate dividends is actually depleting. 3. Spend some time on the fool.co.uk HYP boards. Some of those guys spend a lot of time on strategies largely based around living on dividends. You will find a number of posts discussing how much of the dividends paid should be reinvested to minimise the risk of running out in retirement. 4. 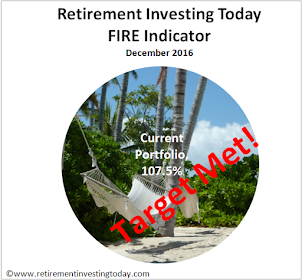 This post http://www.retirementinvestingtoday.com/2013/02/calculating-that-important-retirement.html is likely to be of interest as it details how I'm thinking about the question. Dividend reinvestment strategy can be a great way for wealth building. This plan let you accumulate shares without excessive brokerage fees eating into your returns. It allows you to buy additional shares direct from the company.